Uruguay is one of the smallest countries in South America. It has borders in the north with Brazil, on the south-east with the Atlantic Ocean and it is separated from Argentina on its south and occidental border by ther Uruguay river. This wide river, which gives the name to the country, joins the Paraná river to form the Río de la Plata estuary. Most of its landscape is formed by meadows and hills crossed by rivers and creeks. There is a large coast of beaches with dunes along it. Most of the land its dedicated to cattle grazing. Montevideo, the southest point of the country, incluides more than half of the total population. It’s the second southern capital in the world after Wellington. Although approximately 90% of the land of Montevideo is fit for agriculture, only its 12% is harvested. 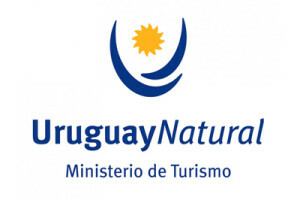 Uruguay is known as the Oriental Republic for being next to the western coast of the Uruguay river.